Oh wow what an artist your hubby is, the picture is stunning. The card is gorgeous and love how you added the charm on the twine. Absolutely fabulous Pat, your husband's painting is just stunning. This is lovely Pat. Great design - and so good to see one of your hubby's paintings again. WOW! 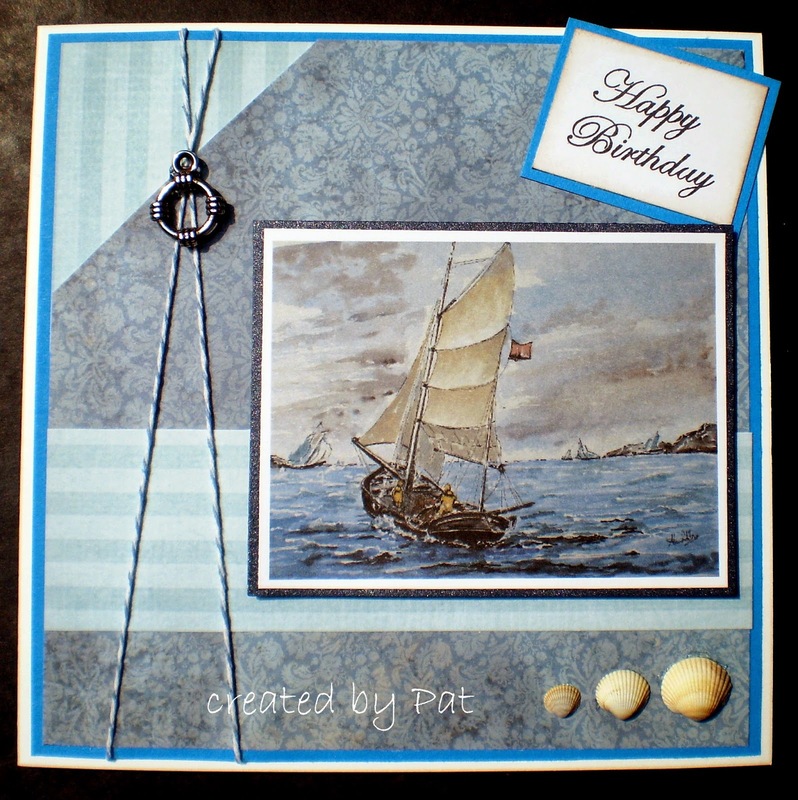 Your husband's painting is stunning Pat and your have made such a gorgeous card with it. I love your detailing too. You and your husband are very talented! Love how you showcased his art!! Oh wow, your hubby is awesome, just love it! Oh Pat this is really beautiful… what a wonderful painting! your husband is so talented! I love the papers and fab layout… and the embellies are just perfect! Hope you and your family have a lovely Easter Weekend! Gosh, this is gorgeous. What a beautiful painting and you created the perfect design to showcase it. Wow Pat this is awesome!!! Thanks for joinng in the fun at Fussy and Fancy....we are having a pearls and lace challenge now....hope you can play along once again!! Well as usual - I seem to be somewhat behind. A wonderful card and fantastic painting your husband created! !